recommended for: Fans of The Reader by Traci Chee, Uprooted by Naomi Novak, and other gorgeous, lush fairy/folk tales with a twist. Or something dark and glittery and lovely. The Hazel Wood is one of 2018's most hotly anticipated debuts, for good reason. It's a viciously dark fairy tale that reads like a grimdark version of Grimm, or a cross between Once Upon a Time and Shutter Island, with flavors of Neil Gaiman. While I have my complaints, I still relished Albert's debut, and immediately hit the pre-order button on a hard copy. The best quality of this book is Albert's prose. It's like a fine desert, lush and complex and multifaceted, without being overly sweet or flowery. She turns a phrase on a knife edge, concocting descriptions that are so unusual and perfect you could cry wishing you'd wrote them yourself. Her prose is foundation for a thrilling, darkly glittering atmosphere that claws under your skin and trickles down your spine. I'll admit, I wish there were more stories of the Hinterlands embedded in the text. There's a real missed opportunity for short italicized fairytales slotted between chapters. But we get enough of them that I felt drawn into the Hinterland world, a shadowy forest of black-eyed ice queens and twice-killed maidens, beings that feed on fear and twisted versions of reality. It's all delightfully strange. As is Alice herself. A girl haunted by inexplicable bad luck, with explosive anger issues and a flighty mother. 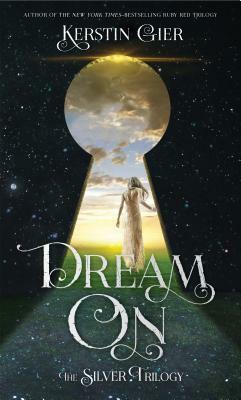 Her character is instantly compelling and a perfect reflection of the half-fantasy-half-deadly Hinterlands. She's paired with Finch, Gansey-esque fairytale-obsessed rich boy with a swoony smile, but their journey doesn't lead quite where you'd think. Punctuated by near-murders and liars, eerie bargains and overgrown castles, it's a seamless adventure from start to finish. I wanted it to be a bit more violent and grotesque, but hey, I have a type. While it could have ended a couple chapters before it did, The Hazel Wood still has a satisfying close. Moreover, you leave it with that ineffable sense of the magical that so few books can create. It's as much an experience as a story, and one I can't wait to dive into again. 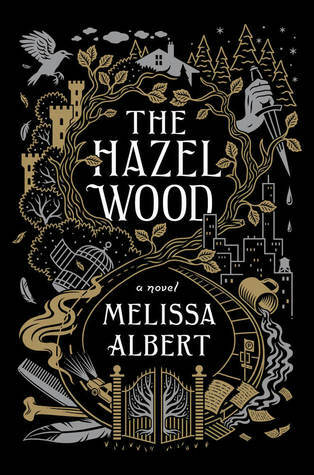 The Hazel Wood is a twisted thriller wrapped in a dark fairy tale, and delivers on both counts. will i continue the series? If I had the sequel in my hands, I'd have already finished it. Twice.